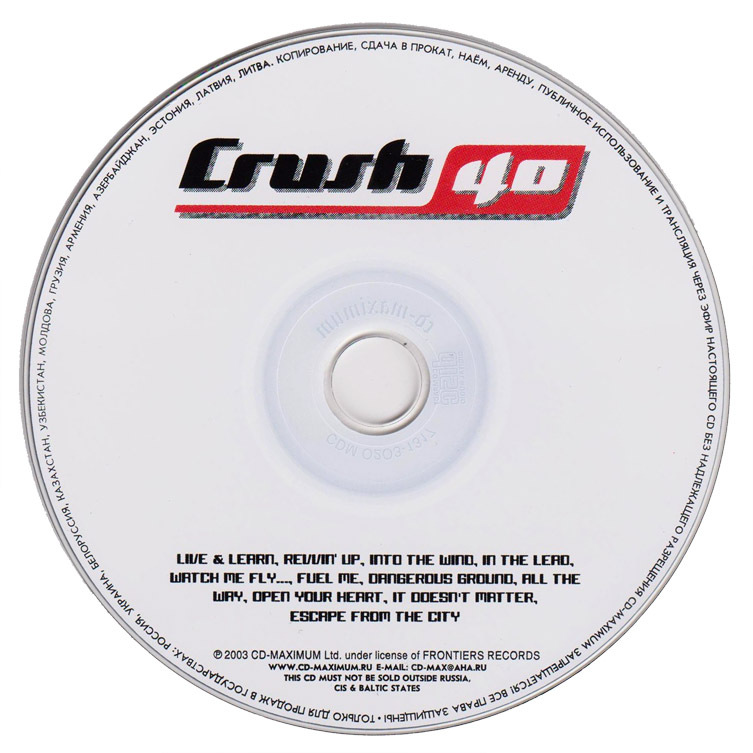 Crush 40′s debut self-titled album. Technically a re-release of Sons of Angels’ ‘Thrill of the Feel’ with the instrumentals removed. 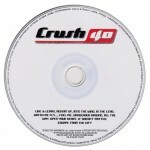 The band re-branded as Crush 40 after a dispute with a Norwegian band also called Sons of Angels. 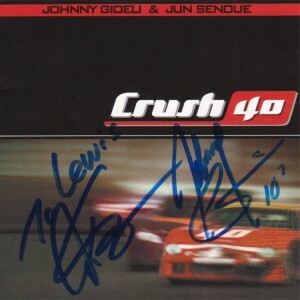 Contains 2 bonus Jun Senoue songs, ‘It Doesn’t Matter’ featuring Tony Harnell on vocals and ‘Escape from the City’ featuring Ted Poley/Tony Harnell on vocals. 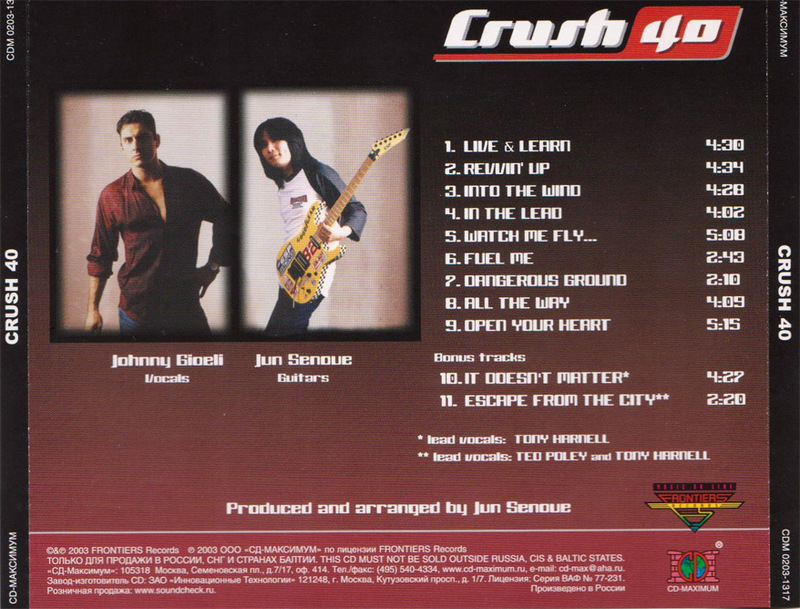 These bonus tracks along with ‘Open Your Heart’ and the newly included ‘Live & Learn’ form the only SEGA soundtrack songs on the album. 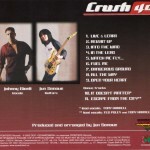 These songs were originally featured on the Sonic Adventure 1 & 2 soundtracks. The rest of the songs originally appeared on EA Sports Presents NASCAR Arcade.